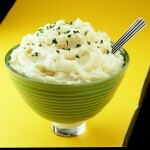 Boil potatoes and mash. Add milk first. Butter and garlic to taste.